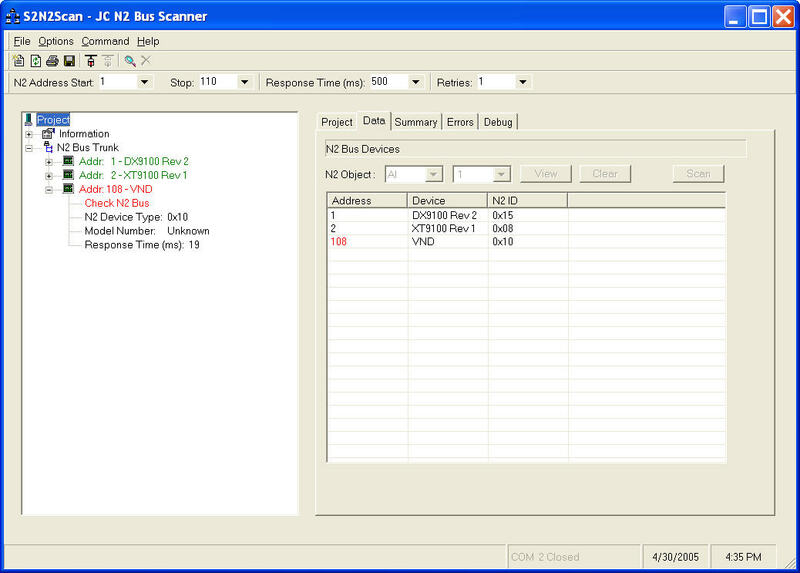 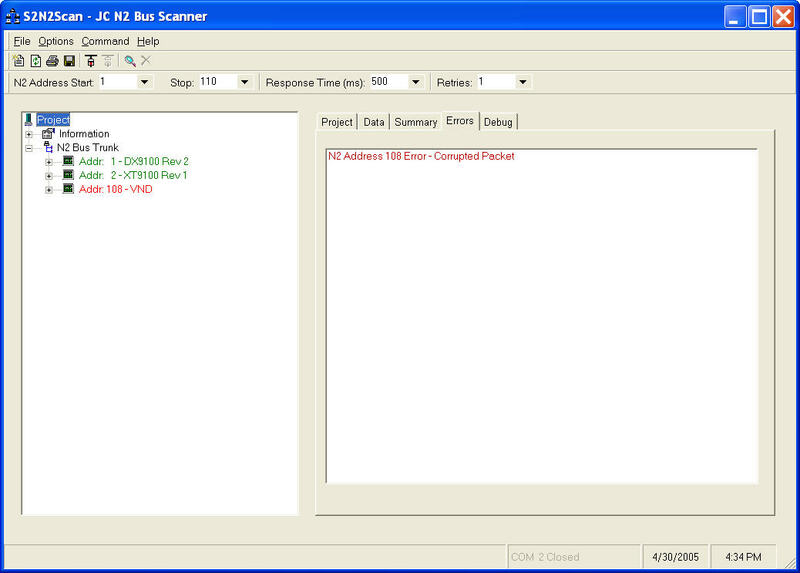 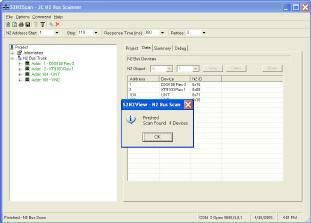 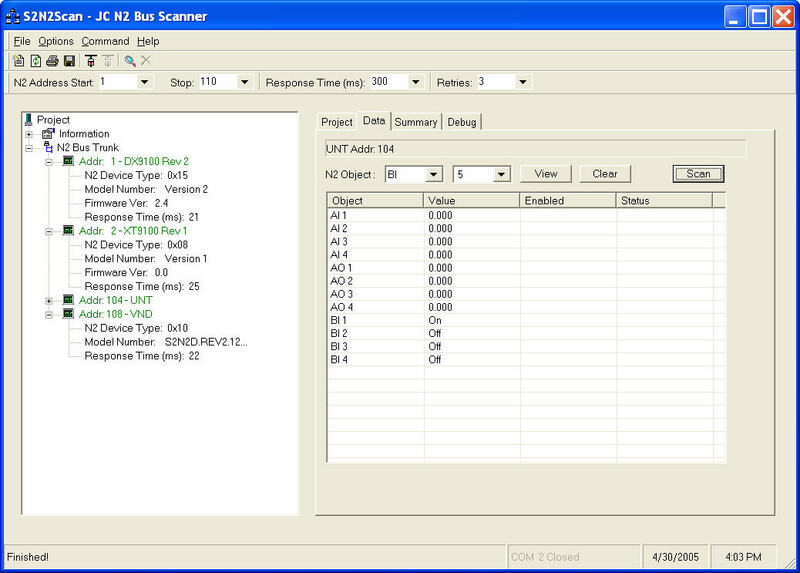 S2N2Scan is a Windows application that interrogates the JC N2 bus for attached devices. 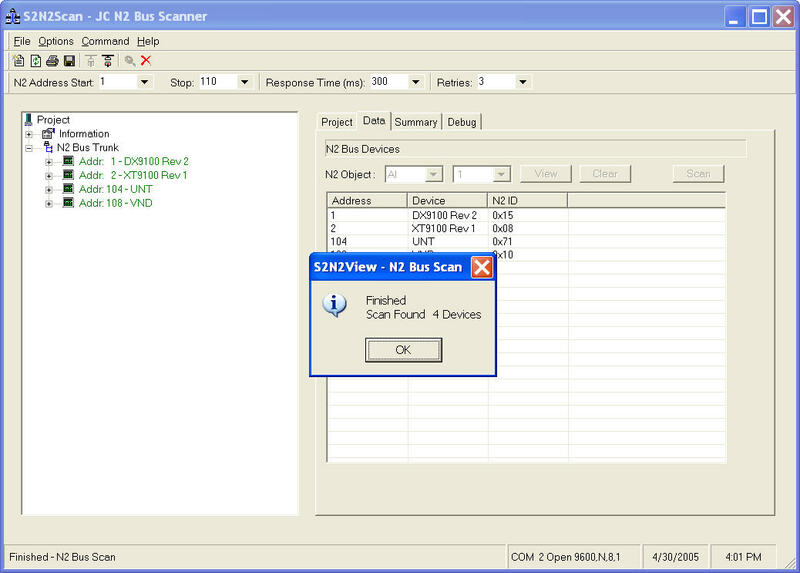 Devices found and conflicting addresses are reported. 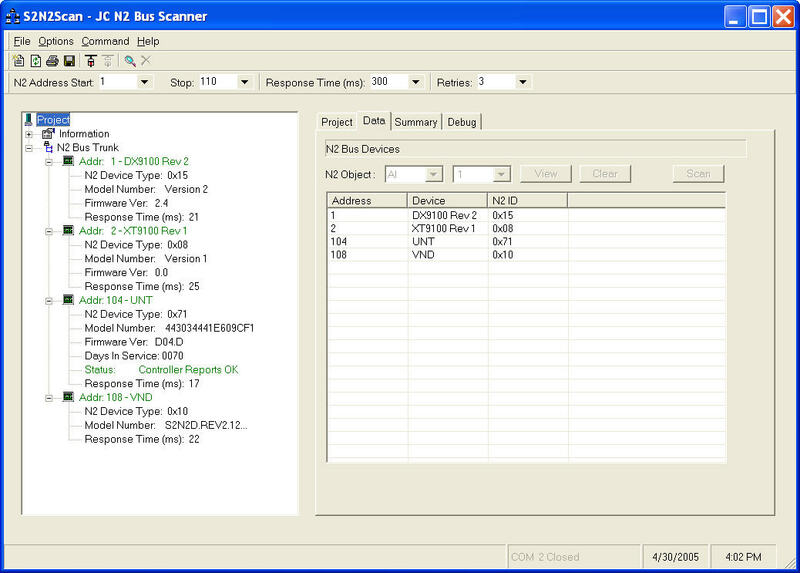 Product Obsoleted and will be replaced with a new Scanning and Diagnostic device.